Reye's syndrome is primarily a children's disease, although it can occur at any age. It affects all organs but it is most harmful to the brain and the liver causing an acute increase of pressure in the brain (cerebral oedema) and a massive accumulation of fat in the liver, kidneys (fatty vacuolization) and other organs. RS is defined as a two-phase illness because it generally occurs in conjunction with a previous viral infection, such as influenza or varicella. The disorder commonly occurs during recovery from a viral infection, although it can also develop 3 to 5 days after the onset of the viral illness. Many studies have demonstrated a strong association between aspirin taken for viral illnesses and the development of Reye’s syndrome (see epidemiology) and a generalized loss of mitochondrial function leading to disturbances in fatty acid and carnitine metabolism in the liver, brain, and muscle (see pathogenesis). Reye’s syndrome occurs almost exclusively in children. Many studies demonstrated a link between reye’s syndrome and aspirin or salycilates intake during the prodromes of a viral pathology. In the US the association between aspirin intake and RS warned physicians from the beginning of 1980. Data collected from 1980 to 1997 had shown that RS cases decreased sharply after those warnings. After a peak of 555 cases in children (1980) the study found only 33 cases in 1987. More than 82 percent of affected had blood detectable salicylates. During a period between 1991 to 1994 the true annual incidence of the desease found was 0.2-1,1 cases per million on a population of <18 years old. In the UK in a period between 1982 and 1990 the warnings of the possible association of RS and salicylates started during 1986. Also in the islands was demonstrated a decline in RS after 1986. This decline involved the not use of salycilates in children and non only the improved diagnosis of Reye’s like syndrome, such as inheritated metabolic disorders. In France the incidence of RS during 1996 and 1997 was similar to the US one and to the one of the countries where warning labels were already in use. There was a reduction in aspirin prescriptions too here due to warnings given by other European countries. This was sufficient to make the French drug agency adopting warning labels. 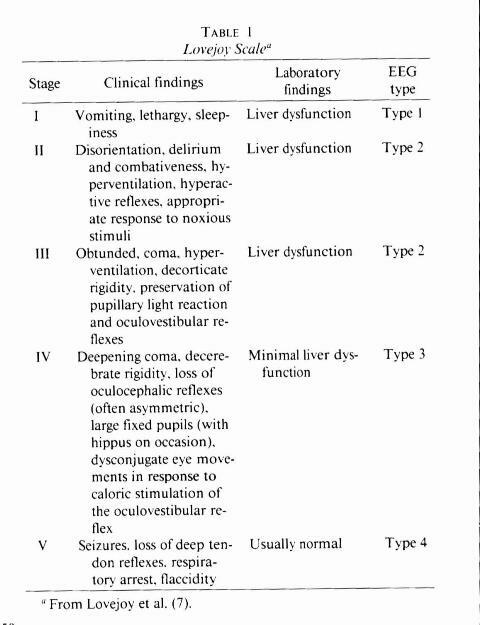 encephalopathy, uncontrollable emesis associated with liver dysfunction. 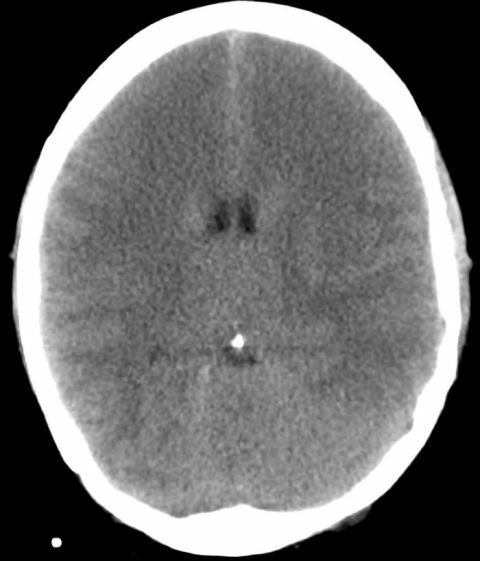 Characteristic of Reye’s encephalopathy is the lack of inflammatory signs neither at meningeal nor perivascular level, but it is associated with elevation of intracranial pressure and cerebral oedema. Finally renal and cardiac failure can also be present. 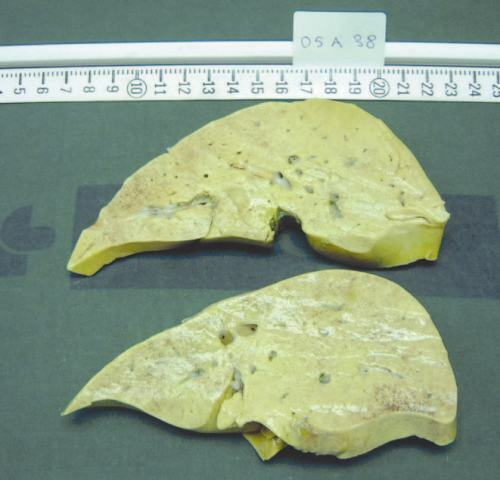 Hepatomegaly and macroscopically fatty liver are found. 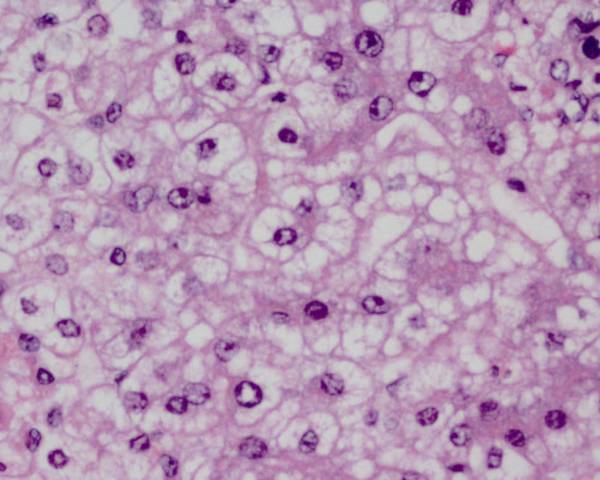 Histology confirms the presence of a microvescicular fatty liver with no sign of inflammatory infiltration. Laboratory data show transaminase but not bilirubin increased levels, hyperammoniaemia, a prolonged prothrombin time, and especially in children of pre-school age marked hypoglycaemia. Moreover, different manifestations of metabolic disequilibria associated with acidosis are detected. Also, fluid pressure is generally increased with a normal proteinorrhachia and possible hypoglycorrhachia. However diagnostic criteria are unfortunately non-specific. The cause of RS remains a mystery. However studies have shown (see epidemiology) that using aspirin or salicylate-containing medications to treat viral illnesses increases the risk of developing RS. The mechanism of inhibition of beta-oxidation by aspirin metabolites in skin fibroblasts from Reye's syndrome patients and controls, 1999. Biochemical relationships between Reye's and Reye's-like metabolic and toxicological syndromes, 1989. Biochemical manifestations of the different causes of Reye's syndrome-like disorders are similar and include: hypoglycaemia due to impaired gluconeogenesis, accumulation of fatty acids, fatty acyl CoAs, and acyl carnitines with depletion of free CoA and carnitine. Accumulated products may further injure mitochondria and exacerbate impaired beta-oxidation, uncouple oxidative phosphorylation or increase mitochondrial permeability. Activated THP-1 cells depress mitochondrial respiration in Hep G2 cells infected with influenza B virus, 1994. Influenza virus-induced encephalopathy: clinicopathologic study of an autopsied case, 2000. Human influenza virus infection and apoptosis induction in human vascular endothelial cells, 2008. Impaired long-chain fatty acid metabolism in mitochondria causes brain vascular invasion by a non-neurotropic epidemic influenza A virus in the newborn/suckling period: implications for influenza-associated encephalopathy, 2007. Hypothetical pathophysiology of acute encephalopathy and encephalitis related to influenza virus infection and hypothermia therapy, 2000. The acyl-CoA dehydrogenation deficiencies. Recent advances in the enzymic characterization and understanding of the metabolic and pathophysiological disturbances in patients with acyl-CoA dehydrogenation deficiencies, 1985. Impact of short- and medium-chain organic acids, acylcarnitines, and acyl-CoAs on mitochondrial energy metabolism, 2008. Octanoic acid inhibits astrocyte volume control: implications for cerebral edema in Reye's syndrome, 1989. This can be translated in an increased production of fatty acid (due to high concentration level of Acetyl-Coa - Kerbs’ cycle is blocked-). This condition is similar to the alcoholic’s metabolism. Malonil-Coa, an intermediate of fatty-acid synthesis so accumulates and inhibits Carnitine-Acetil-Coa-acetyl-transferase (this is one of the most important feedbacks that regulate beta-oxidation). This is translated in a reduction in entering the mitochondria by fatty acid and this blocks beta-oxidation. An increase in NADH itself blocks beta oxidation acting on beta-hydroxyacyl-CoA-dehydrogenase. This can lead to the mitochondrial general loss of function, main feature of the syndrome. Fatty-acids can accumulate at the same time. The consequence is an increase of VEGF. VEGF can be so implicated in the pathogenesis of cerebral oedema promoting angiogenesis and swelling.